Unwind under vast African skies, in some of the few last expanses of true wilderness and arguably the best game viewing areas on the continent. From untouched Tarangire, to the world famous Serengeti and Ngorongoro National Park, this safari is run at a leisurely pace, allowing ample time to discover the wild, free spirit of this vast, awe inspiring country. 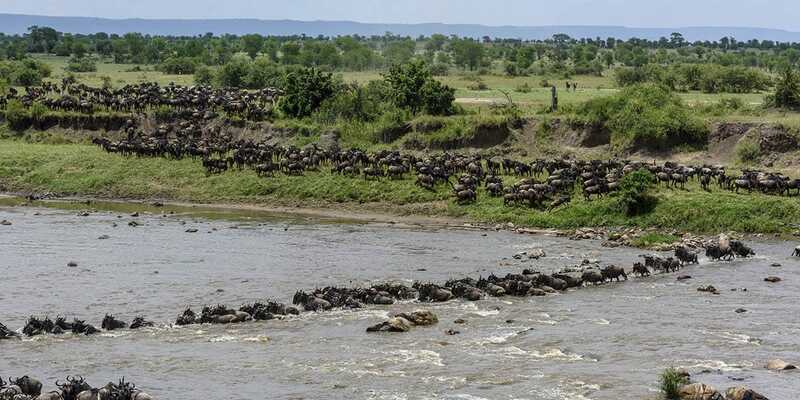 This Tanzania migration safari visits Tarangire, Ngorongoro and Serengeti – with three nights in the Serengeti. 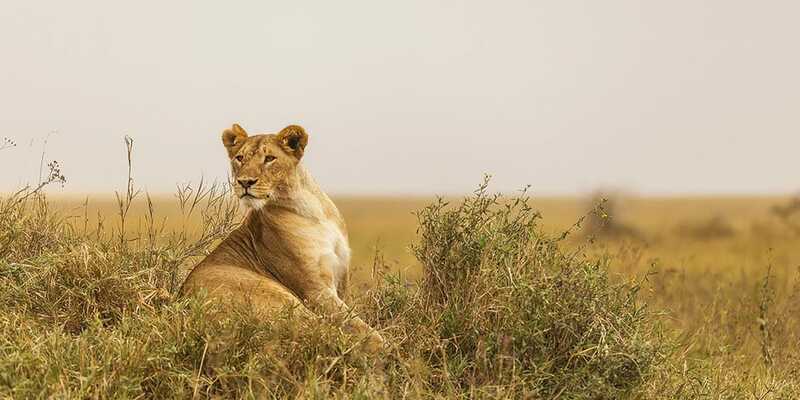 Be stunned by the magnificent wildlife and landscapes of the Serengeti. On your way back, we recommend a one-way scenic flight back to Arusha. This is a great safari for those short of time. There are set departures almost every month, giving you some flexibility in your budget. *During the months of December – February, we may offer a night at Ndutu Wilderness Camp (sister camp to Serengeti) for the calving, or during August – October, we may use Serengeti North Wilderness Camp when the migration is in the area. From Arusha, depart early and drive to Tarangire National Park. Balance of day enjoying game drives in the area, with picnic lunch included. Continue to the highlands of Karatu, stopping to view Manyara and the escarpment below from above. Day 3 - 5: Serengeti here we come! From Ngorongoro highlands, we drive down to the Serengeti plains via Olduvai Gorge and possibly a Masai Village visit (both optional). Picnic lunch en route enjoying game drives along the way. Overnight at an eco-friendly wilderness camp. 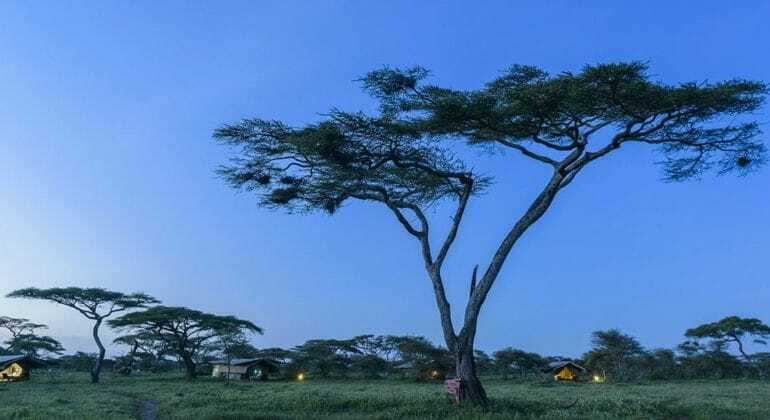 Our camps – Serengeti Wilderness Camp, Serengeti North Wilderness Camp and Ndutu Wilderness Camp (seasonal camps) are located inside the national park and conservation areas respectively. These intimate camps, comprising a maximum of 12 tents, are simple yet comfortable with your every need taken care of. We strive to offer you the best experience possible – allowing flexibility on the ground to ensure you get to see, and be, in all the right places at the right time. Depending on the time of year and the anticipated movement of game you may stay at either one of our camps during your time in the Serengeti. 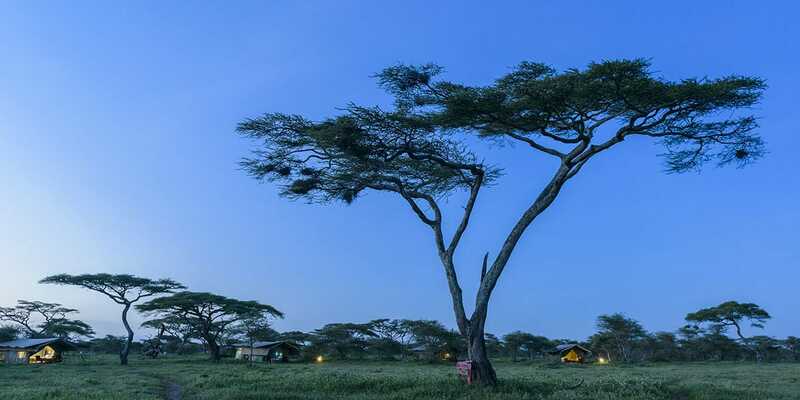 Serengeti Wilderness Camp is located centrally, and is a great place to base up just about all year round. There is exceptional resident game in the area, including the big cats, herds of elephant, resident wildebeest and zebra, buffalo and plenty of antelope. At certain times of the year the migration is a stone’s throw from the camp. The seasonal camp moves from Ndutu (in the south) during the calving season, to the North for the spectacular migration and river crossings. Our guides will take you to the heart of the best game viewing possible. Sometimes that may entail a long day in the vehicle, other times the game may be close by! Whether it’s the thrill of predator action around the young calves, or the chaos as thousands upon thousands of wildebeest launch themselves into the Mara River, there is always some magical action going down in the Serengeti. Our camps and vehicles are designed to give you an unforgettable trip. In our specially customised extended land cruisers the windows are enlarged and the roof height extended to allow ease of photography and game-viewing through the 360degree view hatches, with plenty of room to stretch your legs. Our guides are amongst the very best in Tanzania – experienced professionals who prioritise your comfort and safety as well as ensuring optimal game-viewing throughout your safari with us. Our team go that extra mile to give you an unforgettable trip with us. This safari has different rates for different departure dates. We request you to kindly contact us to know the rates for your departure dates. Note: Children under the age of 16 are not permitted on this tour. This is an overland starting beginning and ending in Arusha, Tanzania. You can optionally take a scenic flight from the Serengeti back to Arusha.